By area the Indonesian archipelago is the largest in the world, engulfing more than 13,000 islands. 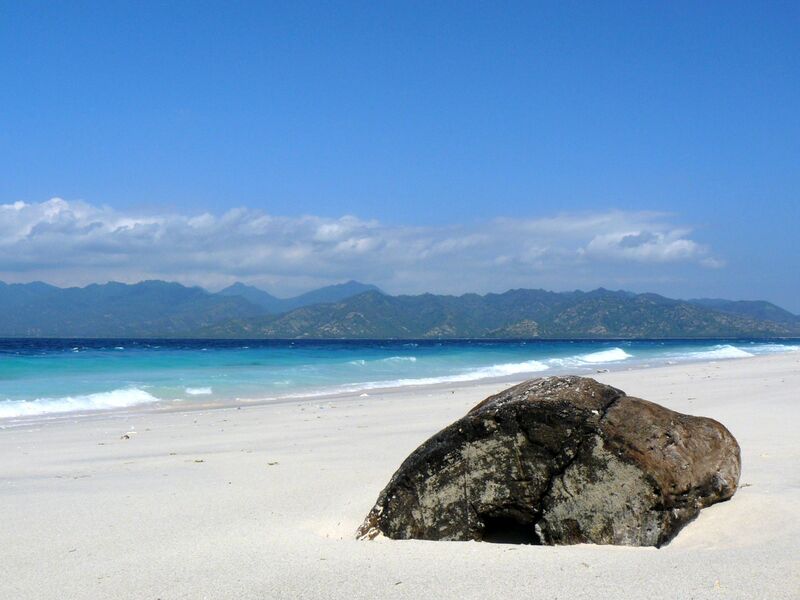 The navigation area for this cruise will cover Lombok, often referred to as Pepper Island. 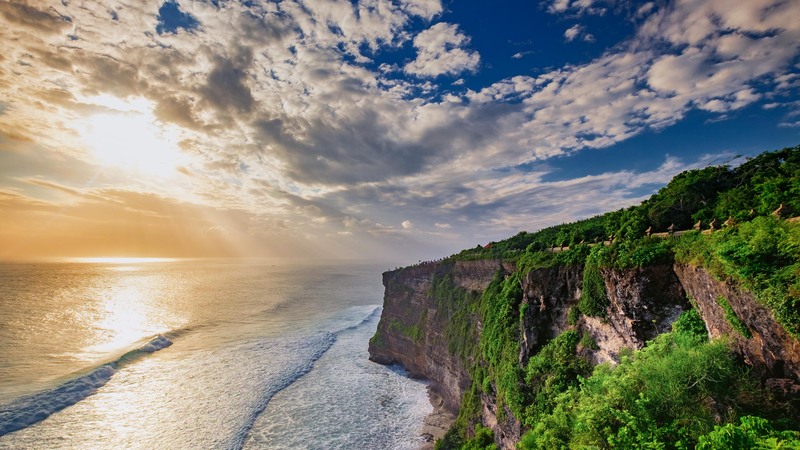 This island is located east of Bali and&nbsp;has the reputation of being one of&nbsp;the many paradises on earth, largely owing to its pristine beaches, crystal clear waters, beautiful bays, a surfing culture recognized internationally, the promotion and preservation of sustainable travel&nbsp;&nbsp;eco-tourism. The interior area of the island is second to none, here you will find unique villages, rice fields and waterfalls. &nbsp; All necessary information Where you surf Bali, Lombok With whom Women, men and children of all ages Embarkation and disembarkation Benoa Harbour Marina Experience required? All teams will be coordinated by a skipper When it takes place The whole year Cost of participation&nbsp;&nbsp;&nbsp;&nbsp;&nbsp;&nbsp; From &euro; 900,00 per person for the entire period &nbsp; The Yacht Your cruise will be on board of a magnificent Eleuthera 60, an&nbsp;18 meters catamaran with 5 double cabins, each with its own private bathroom. The yacht is equipped with air conditioning, watermaker and generator, for the maximum comfort. The professional crew will include a skipper, hostess and cook; allowing you to conquer the endless opportunities in paradise, take care of the provisioning, create delicious meals and ensure your on board experience will be memorable. &nbsp; Cruise program * Day 1 Embarkation at 5 pm at the Banoa Harbour Marina. We set our sails towards Sanur Beach, here you will find many of Bali&rsquo;s first beachfront hotels and entertainment venues. Along the Sanur Beach coastline there a number of restaurants offering variety in cuisine. The&nbsp;serenity of this area forms a melting pot where you will find a rich blend of historic and modern culture. Dinner will be served at Sanur Beach and the night will be spent at anchor. Day 2 After breakfast we sail towards Nusa Lembongan, also known as Mushroom Bay, named after the mushroom corals offshore. The white sandy beach is a perfect spot to gaze at the breathtaking sunset. This area offers numerous water sport activities, such as diving and monkey surfing. If you would like to get a glimpse of the exotic marine life beneath the crystal clear waters, do not leave without snorkelling in Manra Ray. Our navigation will proceed to Cenningan Channel where you will spend the night. Day 3 We set our sails towards the Gili Islands, imagine 3 miniature desert islands that you have been dreaming of, encircled by the most unforgettable turquiose sea, white sand beaches, coral reefs, a turtle hatchery and a myriad of exotic marine life.&nbsp;The islands are very popular, each having its own unique charactersitc and all remaining environmentally conscious to sustainable practices.&nbsp; Day 4 Our navigation will continue towards Sengiggi, an island with astonishing scenery, including extensive bays, lovely sand beaches beneath an environment covered in wilderness and cocunt palm trees. If you enjoy being on land just as much as being on the open sea, Sengiggi offers a few cultural highlights that will surely enhance your experience in Bali.&nbsp; Day 5 We set our sails to Poh Island and then to Gili Nanggu, a deserted small island where you will be amazed by the presence of the most abundant vegetation in Indonesia. This escape will remind you that your current location is well and truly&nbsp;synonymous&nbsp;with paradise. A long anticipated dream getaway in distant and peaceful surroundings suddenly unfolding on an island in the heart of Indonesia.&nbsp; Day 6 The navigation will be continue along the southwest coast, typified by small islands with long stretches of isolated white sand beaches, exceptional swimming conditions with beautiful sea and water scenery. After lunch we set our sails towards Pulau Serangan. The last night will be spent at anchor in Pulau Serangan.&nbsp; Day 7 Set sail to Nusa Penida, also known as Crystal Bay, this area remains untouched from the high influx of tourists and investment, therefore the way of life is very simple and traditional. The last night will be spent at anchor in Pulau Serangan. Day 8 Early morning start and then we set our sails towards Banoa Harbour Marina and disembark at 08:00 am. * The programme is indicative and may undergo some changes due to adverse weather.&nbsp; &nbsp; &nbsp; &nbsp; Flights You can purchase your own flights or contact&nbsp;Sailogy.com to&nbsp;help you select&nbsp;the most convenient flight connections. Availability and prices will be checked at the time of the request. &nbsp; Participation fees (2016) Period Price per person in a couple Price per person single From 20/02 till 05/03 1290 &euro; 2380 &euro; From 05/03 till 0904 1190 &euro; 2180 &euro; From 09/04 till 07/05 1240 &euro;&nbsp; 2290 &euro; From 11/06 till 02/07 900 &euro; 1260 &euro; From 07/05 till 09/07 1140 &euro; 2110 &euro; From 09/07 till 06/08 1240 &euro; 2290 &euro; From 06/08 till 20/08 1290 &euro; 2380 &euro; From 20/08 till 22/10 1140 &euro; 2110 &euro; From 22/10 till 05/11 1240 &euro; 2290 &euro; From 05/11 till 17/12 1090 &euro; 2010 &euro; From 17/12 till 24/12 1190 &euro; 2180 &euro; From 24/12 till 07/01 1390 &euro; 2570 &euro; ​ The price includes: Accomodation in double air-conditioned standard or superior cabin with private bathroom Full board (breakfast, lunch, dinner) Service of the crew: 3 persons (Captain, steward/cook, deckhand) 2 sets of linen, bath towels and beach towels per person per week Consumables for the yacht (diesel, fuel and water) Insurance for the yacht and the passengers Water sports on board (snorkelling equipment and sea kayak) &nbsp; The price does not include: Airfares Transfers airport-base-airport (optional): 45 &euro; one way per person Soft and alcoholic beverages Cash Box (mandatory): 145 &euro; per person per cruise, payable on spot upon arrival &nbsp; Payment methods: In order to guarantee your cabin charter, we require a&nbsp;50% advance booking of the participation fee. The outstanding balance must be paid off 45 days prior to the departure date. By area the Indonesian archipelago is the largest in the world, engulfing more than 13,000 islands. 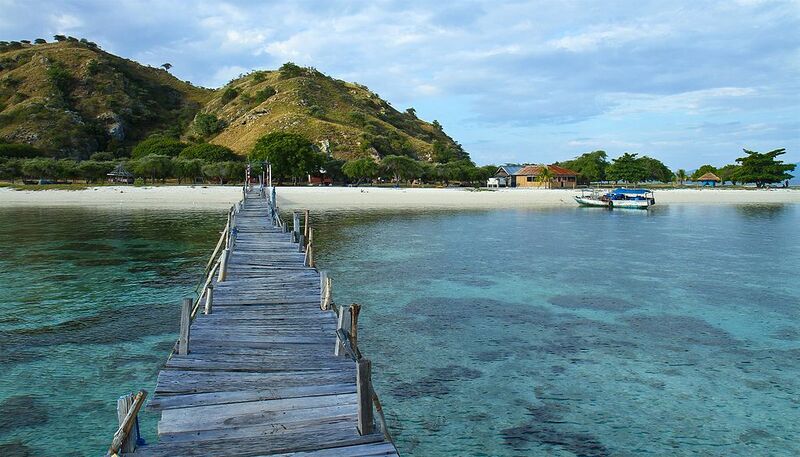 The navigation area for this cruise will cover Lombok, often referred to as Pepper Island. This island is located east of Bali and has the reputation of being one of the many paradises on earth, largely owing to its pristine beaches, crystal clear waters, beautiful bays, a surfing culture recognized internationally, the promotion and preservation of sustainable travel eco-tourism. The interior area of the island is second to none, here you will find unique villages, rice fields and waterfalls. Your cruise will be on board of a magnificent Eleuthera 60, an 18 meters catamaran with 5 double cabins, each with its own private bathroom. Embarkation at 5 pm at the Banoa Harbour Marina. 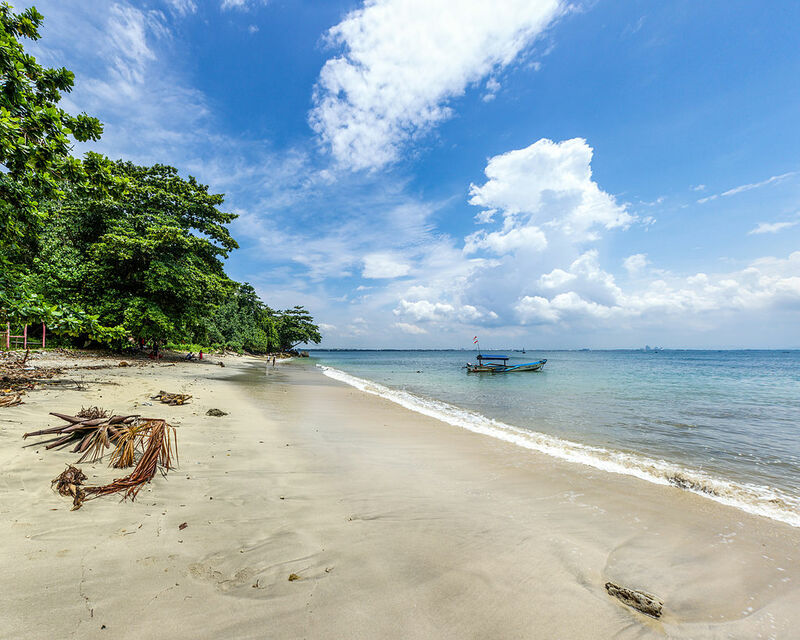 We set our sails towards Sanur Beach, here you will find many of Bali’s first beachfront hotels and entertainment venues. Along the Sanur Beach coastline there a number of restaurants offering variety in cuisine. The serenity of this area forms a melting pot where you will find a rich blend of historic and modern culture. Dinner will be served at Sanur Beach and the night will be spent at anchor. Day 2 After breakfast we sail towards Nusa Lembongan, also known as Mushroom Bay, named after the mushroom corals offshore. The white sandy beach is a perfect spot to gaze at the breathtaking sunset. This area offers numerous water sport activities, such as diving and monkey surfing. If you would like to get a glimpse of the exotic marine life beneath the crystal clear waters, do not leave without snorkelling in Manra Ray. Our navigation will proceed to Cenningan Channel where you will spend the night. Day 3 We set our sails towards the Gili Islands, imagine 3 miniature desert islands that you have been dreaming of, encircled by the most unforgettable turquiose sea, white sand beaches, coral reefs, a turtle hatchery and a myriad of exotic marine life. The islands are very popular, each having its own unique charactersitc and all remaining environmentally conscious to sustainable practices. Day 4 Our navigation will continue towards Sengiggi, an island with astonishing scenery, including extensive bays, lovely sand beaches beneath an environment covered in wilderness and cocunt palm trees. If you enjoy being on land just as much as being on the open sea, Sengiggi offers a few cultural highlights that will surely enhance your experience in Bali. Day 5 We set our sails to Poh Island and then to Gili Nanggu, a deserted small island where you will be amazed by the presence of the most abundant vegetation in Indonesia. This escape will remind you that your current location is well and truly synonymous with paradise. A long anticipated dream getaway in distant and peaceful surroundings suddenly unfolding on an island in the heart of Indonesia. Day 6 The navigation will be continue along the southwest coast, typified by small islands with long stretches of isolated white sand beaches, exceptional swimming conditions with beautiful sea and water scenery. After lunch we set our sails towards Pulau Serangan. The last night will be spent at anchor in Pulau Serangan. Day 7 Set sail to Nusa Penida, also known as Crystal Bay, this area remains untouched from the high influx of tourists and investment, therefore the way of life is very simple and traditional. The last night will be spent at anchor in Pulau Serangan. Day 8 Early morning start and then we set our sails towards Banoa Harbour Marina and disembark at 08:00 am.